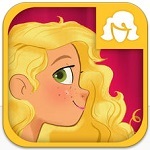 At one time if you started searching for apps geared toward girls you’d end up lost in a sea of dress-up games and pink…well, everything. Traditionally the fields of science and engineering have been dominated by men and girls often lose interest in science as early as eight. Fortunately, developers have caught on to changing attitudes and interests and, while there are still plenty of apps that appeal to things girls traditionally enjoy, they’ve taken the best of those elements like girls’ strong verbal skills and incorporated gender neutral options with elements including construction, exploration and running a business. So whether your daughter wants to create her own fashion line, build a town or make movies, these apps offer all that and are great gender neutral options for both girls and boys. Toca Life: Town is an open play environment that lets kids interact with characters in a town that includes a home, an apartment, a restaurant, a store, a police station and a park. All the locations cross over, allowing kids to shop at the grocery store then go home and put their purchases away or go out to eat at the restaurant and then come home to their apartment and go to bed. Play is only limited by a child’s imagination and the colorful diversity of the characters is an especially refreshing touch. Peg + Cat Big Gig uses creativity and music to let preschoolers sing and dance their way to better math skills. Kids can sing along with Peg and Cat or create their own stage show with disco lights, fireworks and back-up singers, while learning number and pattern recognition, counting by ones and twos, and practice using ordinal numbers. 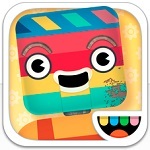 Toca Robot Lab is another great app from the creative team at Toca Boca. Kids use tools and found items along with their imagination to build robots then can then fly around the robot test track. Kids learn basic recycling, engineering, and construction principles all while having a blast by being creative. Monument Valley is an MC Escher-inspired puzzle game that warps the world and its architecture. Users guide a princess through a silent world by dragging and turning parts of certain buildings to create a path from one part of the landscape to another or by stepping on specific tiles they can suspend gravity and climb walls. The whole point of the game is to stretch your imagination so things are possible in the game that aren’t possible in the real world. GoldieBox and the Movie Machine is from the creators of the GoldieBlox engineering toys designed to level the playing field and inspire kids to be creative while piquing their interest in science. With Movie Machine kids can get step by step directions to create their own stop motion movies either by starting from scratch or by choosing a template and building from there. Kids will pay attention to detail and learn problem solving skills as they use their imaginations to create their movies.